Short animation charting the rise of humanity as a geological force and the resultant transformation of our planet's surface. This is the animation done by Globaïa for the short film 'Welcome to the Anthropocene' commissionned for the Planet Under Pressure conference. 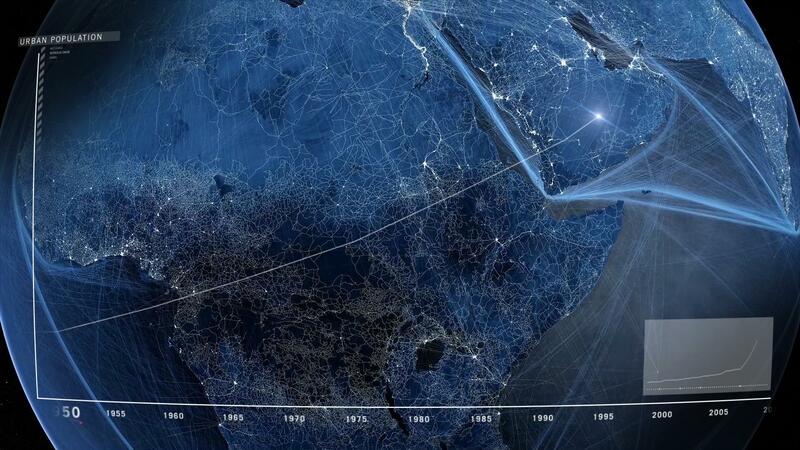 A 3-minute journey through the last 250 years of our history, from the start of the Industrial Revolution to the Rio+20 Summit. The film charts the growth of humanity into a global force on an equivalent scale to major geological processes.